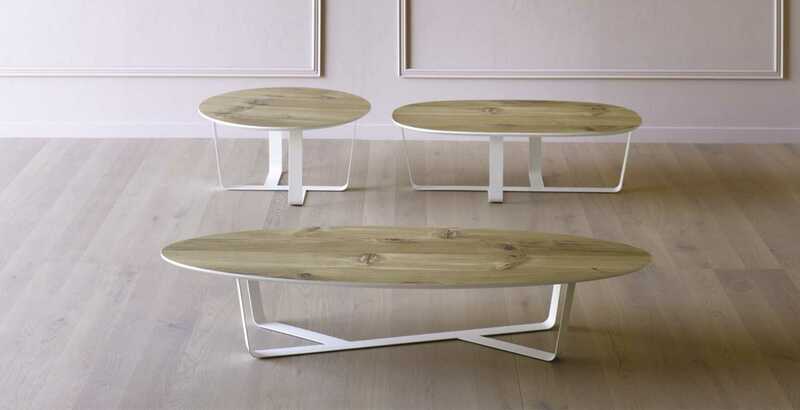 Bino is a set of three coffee tables. 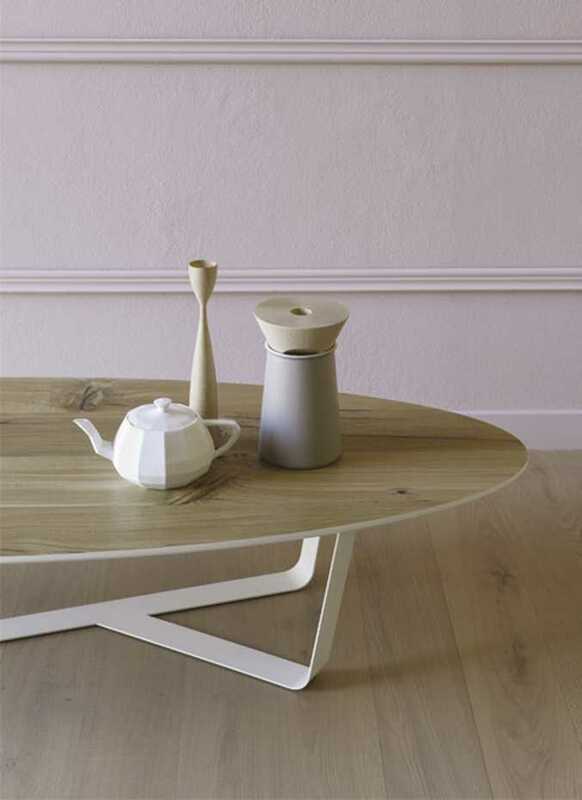 The visual impact is enhanced by the new wooden finishes, offering at the same time an actual wooden alternative. 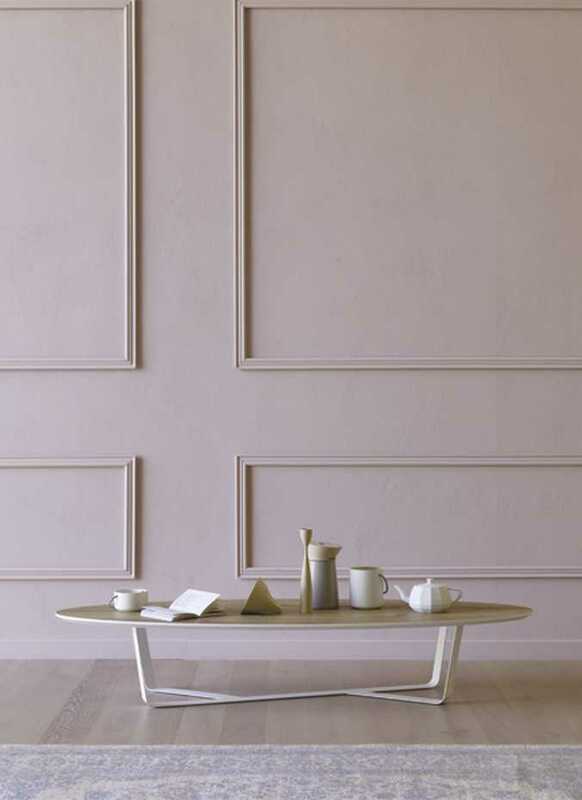 The base is made by a pressed, folded and lacquered metal while the top in lacquered or wooden veneered mdf.